The Caucasian Ovcharka is a flockguard dog that originated in Russia and Central Asia. The breed is commonly known as the Caucasian Mountain Dog and Caucasian Sheepdog. The breed is used as a livestock guardian, protection dog, and was also used as a fighting dog. A 2007 New York Times article shows that the dog continues to be used for fighting today in Russia, along with the Central Asian shepherd dog. Back in 2004, National Geographic aired a segment that featured the Caucasian Ovcharka. The animal was depicted as "extreme" with explosive aggression. The documentary team interviewed one breeder of the animal, Tamara Follett, who at the time was based in the U.S. She said, "This breed is so much more aggressive than what the U.S. is familiar with." 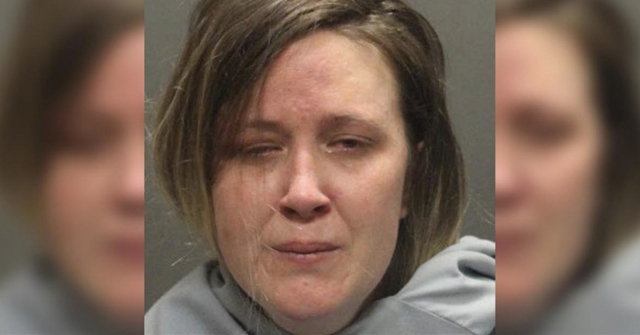 Follett advertised her dogs as having the stopping power of a .45 caliber pistol. The TV segment set off a multitude of shockwaves. Earlier this year, Follett wrote to DogsBite.org about her dog bite prevention project called Dog Trax. The paradox is hard to digest: The breeder of a highly dangerous dog has also designed a dog bite safety program. 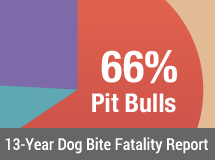 The program is a web-accessible technology that analyzes dog bite records to identify "high risk" dogs before a serious attack. The system is still in BETA. Follett believes her system is a better solution than breed bans. The Caucasian Ovcharka is rare in the United States. After the TV segment aired, one rescue group said the show misrepresented the breed. Perhaps, but the dog seems woefully unsuitable anywhere near a residential community. Good LORD! I AM SPEECHLESS! If they want to keep a dog like that in a cage in their garden: fine. But why do they have to walk the streets with them? And how crazy are these people that use their child as a guinea pig so that his dog can be socialised with kids. A 150 pound man being dragged around by a 180 pound, hyper aggressive dog… insane. I’ll never understand the attraction to aggressive breeds when most dogs, even Labradors, can get the job done. The most aggressive dog I ever owned was a Chesapeake retriever, but he had an uncanny amount of intelligent discernment. That means he consistently exhibited the ability to sort out friend from foe, good guys from bad, even among complete strangers. He enthusiastically greeted everyone from the UPS guy to our much loved Girl Scout cookie hustler, but made short work of a meth user attempting to break into the garage. His sustained growling woke me one night and I sent him into the dark where he scored a catch with nothing more than an intense display of threat. I couldn’t have trained him better, but in reality he had zero training for this! For the next 10 to 15 minutes, he stayed on heel issuing reminder growls whenever the burglar shifted position to try and get comfortable while sitting on coarse gravel. 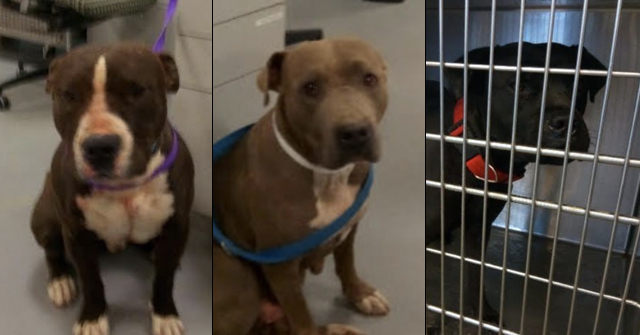 After the deputies arrived and caged our burglar in one of their cars, he heaped excited affection on them, going from one to the other with his wildly wagging tail and cricket hops. Go figure, but that’s what I mean by intelligent discernment. The Border Collie I have now is much the same way, friendly towards everyone but surprised me one day when he threatened a guy back into his pick-up. I didn’t know the man and soon doubted the legitimacy of his claim to be looking for such-and-such a person, “who used to live here.” (I built this ranch on bare dirt. No one ever “used to live here.”) Who knows what no-good this person was up to, but how did my dog know this was somebody that shouldn’t be here? Dangerous breeds are a pointless risk, and because they need careful handling and confinement, usually have less opportunity to perform as protectors. There’s no way I would have sent a chow, a pit bull, or an Ovcharka into the dark to investigate. It could easily have been a friend swinging by at 3 am to grab a sack of decoys without waking me. Just as surly as that Chesapeake was bred to leap into breaking waves and keep a do-or-die attitude about every retrieve, these aggressive breeds were selected for do-or-die aggression, and often exhibit that aggression for aggression’s sake, without discernment or provocation. Anyone who thinks they need such a breed is either uninformed or has malicious intent. For that reason, they must be regulated. This is why product liabilty laws need to apply to breeders. At least these people are truthful about the genetics of the dog. I had never heard of a Caucasian Shepherd until I was attacked by one 2 weeks ago. I made the mistake of going on his property, even though I was accompanied by the owner’s wife. He bit me in the arm, the leg, and the stomach. I really thought he was going to kill me. But ,thankfully, Th 100 lb woman was able to hold the 150 lb dog long enough for me to pick up my 4 year old grandson and get away. I will never go anywhere near one of those dogs again in my life. This ‘documentary’ is a poor excuse for journalism and horribly innaccurate. What they do not mention is that they contacted more than one legit breeder who offered them footage of a therapy dog and working flock guardians that were not trying to maul people. They were not interested. They were interested in the sensational attack footage. 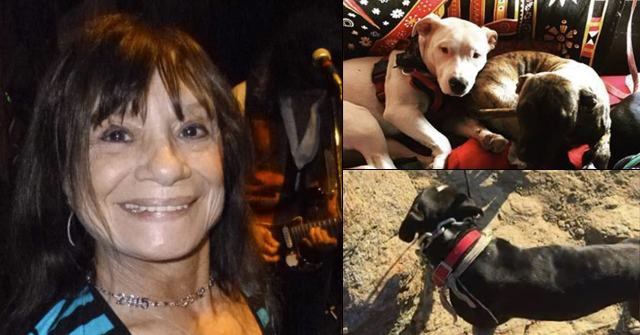 Tamara Follet needs to not be breeding dogs or at least not these dogs. A Caucasian is meant to be protective and able to -discern- what is and what isn’t a threat. A dog that tries to attack strollers on a street is not discerning, but one that needs to be either a) placed with a rescue or b) put down. In certain circumstances, the dog is perfect. One breeder lives in rural Montana and her dogs protect her livestock from the coyote pack. A pup of hers was placed with a policeman in his family and is doing well in that enviroment. Don’t misunderstand me: the average person does not need this dog. I do not want them available to the majority of people. In the hands of idiots, such as the one in the video, it is an accident waiting to happen. The caucasian is too big and too powerful to take chances with. Judging by this website, you’ve all seen what happens when idiots have large and powerful dogs. I don’t really want one more dog to become readily available to people that cannot or will not control their dogs. Have you owned one? The aggression is genetic. I grew up in Russia and my family owned 2 of these, bottom line is they were their to defend. They could tell the difference between my family and EVERY other living thing, which they naturally wanted to murder. Any dog that's so powerful, heavy, bred to attack strangers and the jaws to end lives shouldn't be around humans. Sure, protect any remote sheep flock in former USSR, I bet noone does a better job. But what does it eat? They can't hunt for prey because they have to be on the job, so my guess is the herd they protect is also their food. Just the attitude you want around the family…. People insisting on having high-risk dogs with strength to make them unstoppable for someone with bare hands have a negative impact on safety and the way dogs are accepted. They make it necessary to be alert and distrustful, and that tarnishes all dogs and owners, even my little squishy pug is avoided by migrants from places with no companion dogs, just strays and guard dogs. We must come up with certain limitations, our densely populated society benefits from companion dogs, not from unstoppable dogs with roid rage.